Posted on November 19, 2012	by Katy K.
I’ve submitted this post to the Kid Lit Blog Hop at Mother Daughter Book Reviews. Please hop over there and take a look at all the other great posts that are up! I Kissed the Baby by Mary Murphy. Bold pictures, mostly white on a black background, with shots of bright yellow and pink, illustrate this story. Pond animals including fish, birds, a squirrel, and insects, all join to welcome a new baby. Each spread features two animals, the first asking the other a question about the baby: “I tickled the baby! Did you tickle the baby?” “Yes! I tickled the baby, the wriggly giggly thing!” Finally, at the end, we meet the adorable duckling that everyone is so excited about. Though it isn’t rhymed text, lots of attention is paid to the sound of the words for reading aloud. The short text and bold images make it perfect for reading to babies and toddlers, but it was still fun enough for my eight-year-old to want to read it to his sister, and she both asked for it and read it to herself over and over again. I get asked about recommended books for new baby gifts often, and this is a great one. It’s still in print in board book, which is ideal for the target age, and you can still find it in hardcover if you look. 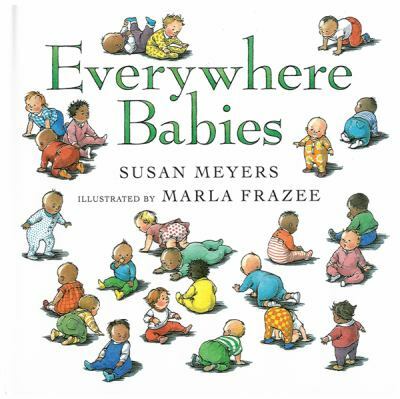 Everywhere Babies by Susan Meyers. Illustrated by Marla Frazee. Hush, Little Baby by Marla Frazee. Snuggle Puppy by Sandra Boynton. 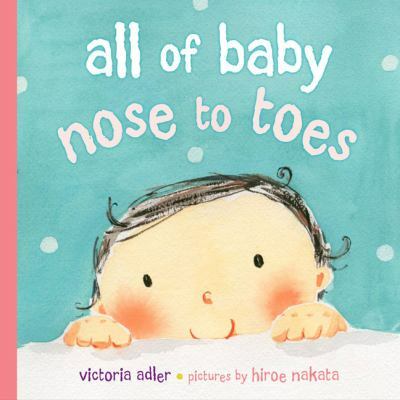 All of Baby Nose to Toes by Victoria Adler. Illustrated by Hiroe Nakata. This book was a gift from our head children’s librarian at my son’s shower. It has 44 wonderful picture books in it, with color-coded age guidelines at the bottom of all the pages and in the table of contents. We take it with us whenever we travel and are able to stay entertained for weeks with no other books for the children. If you have the budget for a big book gift, this is a great choice. The 20th-Century Children’s Book Treasury edited by Janet Shulman. What are your favorite books to give to babies? This entry was posted in Books and tagged board books, picture books. Bookmark the permalink. Oh, I’m so excited that you linked into the Kid Lit Blog Hop and I’m now following you via email and Twitter. Thank you so much for your comment! Yes, “I Kissed the Baby” is perfect for little baby eyes to grab onto. I’ve read some of Mem Fox’s other books, but not that one, and I don’t think I’ve heard of “I Love You As Much”. I’ll have to go look for them!